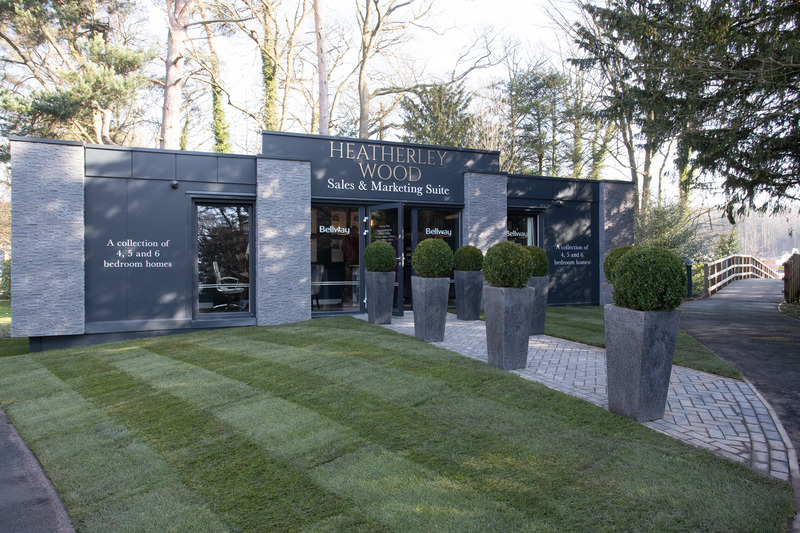 Guests enjoyed a cocktail or two last weekend at the eagerly awaited launch of Heatherley Wood; Bellway’s stunning new residential development at Alderley Park. To celebrate the release of the first properties for sale, Bellway held a fabulous launch event for invited guests and interested purchasers at its beautiful new sales and marketing suite within Alderley Park. Nestled away in Alderley Park, surrounded by mature parkland and trees, Heatherley Wood is a prestigious new development of 50 luxurious new build properties in an enviable semi-rural location close to open green space, water and woodland walks and trails that is within a five to 10 minute drive of Cheshire’s most sought after villages of Alderley Edge and Wilmslow – and an easy commute to London in around two hours. Featuring a stunning selection of four, five and six bedroom executive detached homes and a handful of stylish four bedroom townhouses, the development has set new standards in modern luxury living with all properties built to traditional high standards and featuring a magnificent specification. Designed exclusively for this development, Bellway’s collection of impressive new homes is beautifully styled and finished both inside and out. Externally, the properties exude charm and character boasting large windows, classic stone lintels and door surrounds and elegant peaked roofs and chimney stacks. Internally, they benefit from the highest specification. At the heart of the home is a truly magnificent family kitchen with a range of beautiful Laura Ashley kitchens, stone work surfaces and upstands to choose from. This is complemented by a selection of integrated appliances including fridge freezer, dishwasher, range oven and hood, Villeroy and Boch sanitaryware, thermostatic showers, chrome heated towel rails and a choice of Porcelanosa tiles. Plus there are log burning stoves in selected house types and a range of further fabulous upgrade options to make your house your own. Properties at Heatherley Wood start from £825,000. To advise and assist purchasers, a bespoke sales and marketing suite is now open seven days a week within Alderley Park. For further information, please pop into the new sales office or contact the team on 01625 403566 or email heatherleywood@bellway.co.uk. Heatherley Wood, Alderley Park, Nether Alderley,Cheshire SK10 4TG www.bellway.co.uk/heatherleywood.